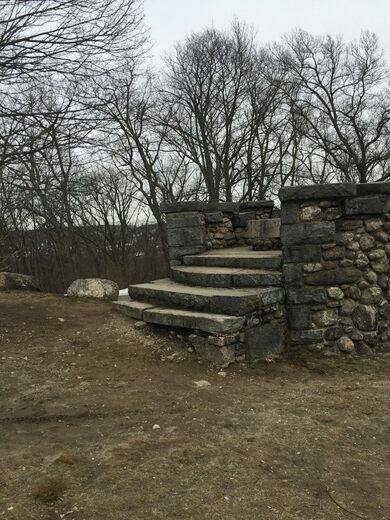 George Bancroft rose to the position of US Secretary of the Navy and even established the US Naval Academy during his lifetime, and now he is remembered by Bancroft Tower, a down-scaled reproduction of a castle in the middle of a park. 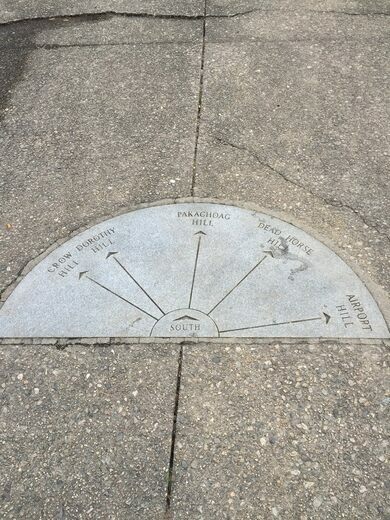 A former educator and historian, Bancroft had a number of friends in high places both before and during his illustrious time in the Navy. Among them was railroad baron Stephen Salisbury II with whom Bancroft had shared a childhood. 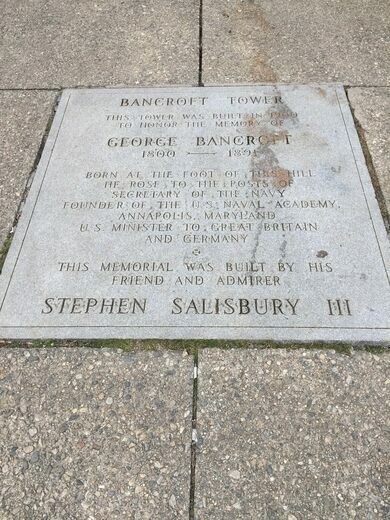 After Bancroft’s death, Salisbury’s son used $15,000 of his family’s money to build Bancroft Tower in honor of his father’s boyhood chum. 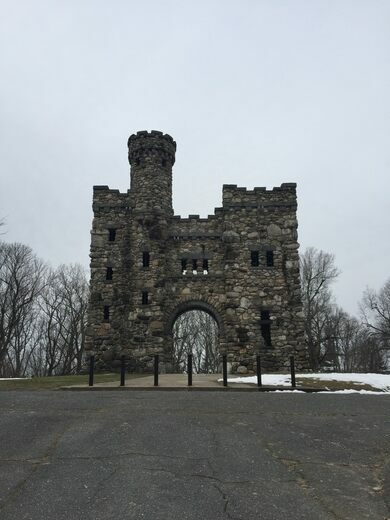 The thin castle stands 56 feet tall, made of cobblestones and large rocks it contains a number of empty rooms and seems to have always been more decorative than utilitarian. 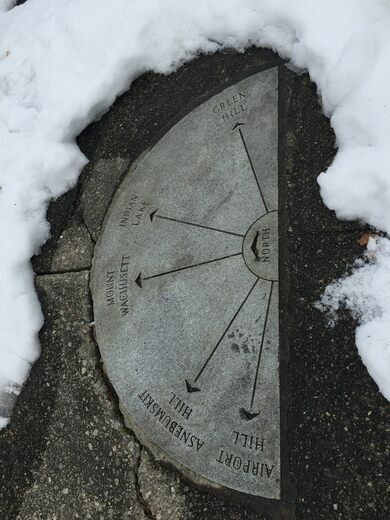 While Bancroft was a Worcester native, the medieval monument was a strange choice for the Naval man, and it has been speculated that Salisbury III was simply trying to use up the family fortune. 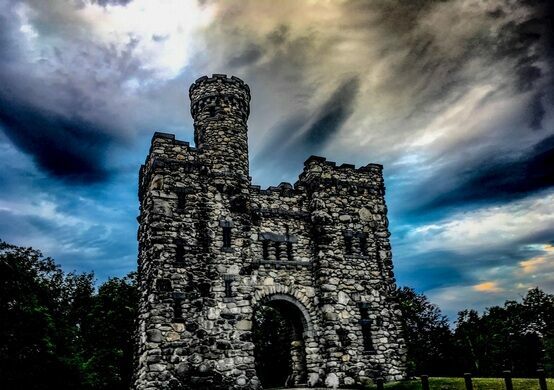 No matter the intent, Bancroft Tower still stands today although the interior is gated off. The tower is typically only open to the public on Sundays in the month of October. Truly, no one is quite sure what to make of this castle. There is a small parking lot but it is only 15 minute parking. The park is open from 5 a.m. to 10 p.m.
A comic book store got the road by its shop officially renamed after Superman's girlfriend. This hilltop ruin is of the hundreds of stone columns built in tribute to the first German chancellor.